Terrifying. Exhausting. Sweaty palms. Panic attacks. 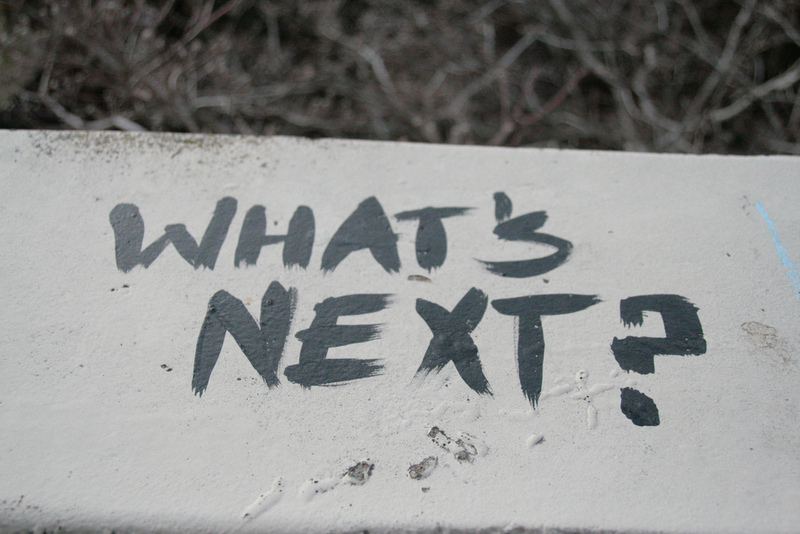 God, why do everybody asks me what’s next? Isn’t it obvious that if I would know what’s next I would be telling it to everybody? Why does it matter so much for everybody else what’s next? Are they looking for an idea from me to figure out what to do next in their life? Perhaps I should just be quicker. I should just jump in and ask them this question before they have a chance to ask me. Then I would get time to figure out what’s next. Then I would get the ideas from them. Plus, people love talking about themselves, so I could finally take on the active listener hat. Yes, God, give me that hat. Why am I always the active talker talking about what’s next when I don’t even know what is now! Terrifying. Exhausting. Sweaty palms. Panic attacks. Where does this need to know what’s next come from? Why the pressure? Why the need? Why the social demand? What if my next is not wanting the to know what’s next? Would that be so horrible? Why am I only a tangible and real someone if I know what’s next? Why am I the outcast when I don’t have an action plan for the nexts.